When get a torrent file and download a full HD movie from website with Vuze, you must be eager to put the Vuze bittorrent movie onto iPhone 7/iPhone 6 Plus/iPhone 6/iPhone5s/iPhone5 and iPad Air 2, iPad Mini 3 and Apple TV 2015 and enjoy it. 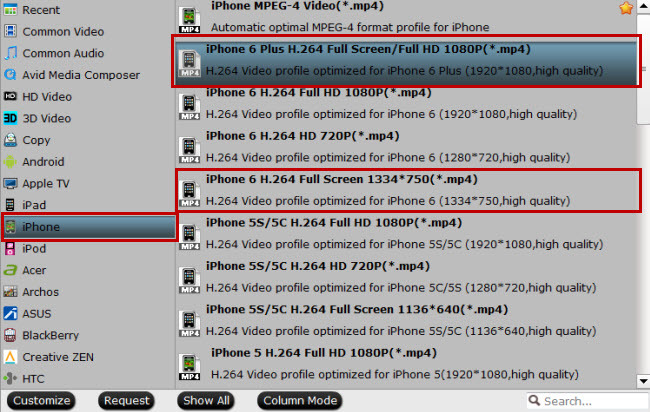 However, not all the HD movie from Vuze are the format that Apple iPad, iPhone or iPod supported. That’s to say, you need convert the Vuze HD movie to iPad accpeted format before transferring them to iPad. But now the problem is gonna be solved if you have this Pavtube Video Converter Ultimate(Review)! 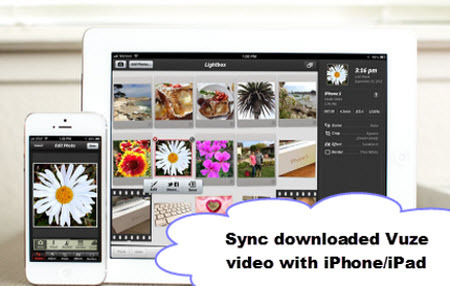 With various output presets specified for iPad/iPhone, reliable conversion quality and amazingly easy-to-use interface, you can sync downloaded Vuze videos, MKV, WMV, VOB, DVD, Blu-ray to iPad/iPhone at ease. For Mac users, iMedia Converter for Mac is a helpful app to encode videos for further usage. Run the Video Converter Ultimate on PC, and click “File > Add Video/Audio” to add downloaded Vuze videos. To import DVD and Blu-ray, please hit “Load files” icon. Note: You’ll need an external Blu-ray drive if want to plugin your Blu-ray to this computer. Click format bar to find “iPad”, “iPhone” and “iPod”column, you can find every device model here. Just click to choose them. Generally a video converted with “iPad” preset will playback fine on both iPhone and iPod as well because of the downsize resolution. But you are not suggested to put a “iPhone” video onto iPad for watching. Interested in movie creation? Try the built-in video editor in this video converter. Click “Edit” or the pencil icon and the “Video Editor” window pops out. You can save a video clip from the downloaded Vuze videos file by using “Trim”, enjoy a video without black bars on bigger screen with “Crop”, watermarks, special effects, and subtitles can also be added to the video file you want to convert for watching via plex. Go back to the Video Converter Ultimate on main UI and click on “Convert” button to start converting downloaded Vuze videos to iPhone/iPad. Wait until it’s done, the speed of completion always depends on how big or how many your files are. You can easily find the output files in the output folders once the conversion is done. Now just stream the converted Vuze videos to iPad or iPhone at ease.